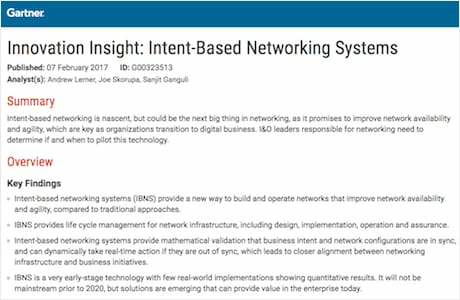 Get Gartner's analysis of intent-based networking systems. See how these solutions can lower network infrastructure delivery times and reduce outages by at least 50%. Fill out the form to get the Gartner report.